Mi Último Adiós (English; “My Last Farewell”) is a poem written by Philippine national hero, Dr. José Rizal, on the eve of his execution by firing squad on December 30, 1896. The piece was one of the last notes he wrote before his death. Another that he had written was found in his shoe, but because the text was illegible, its contents remain a mystery. 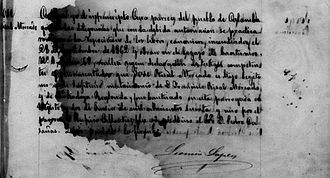 The autographed first stanza of "Mi último adiós"
"On the afternoon of Dec. 29, 1896, a day before his execution, Dr. José Rizal was visited by his mother, Teodora Alonzo; sisters Lucia, Josefa, Trinidád, Maria and Narcisa; and two nephews. When they took their leave, Rizal told Trinidád in English that there was something in the small alcohol stove (cocinilla), as opposed to saying coconut oil(lamparilla), which was intended provide cover for the transportation of the text. The stove was given to Narcisa by the guard when the party was about to board their carriage in the courtyard. At home, the Rizal ladies recovered a folded paper from the stove. On it was written an unsigned, untitled and undated poem of 14 five-line stanzas. The Rizals reproduced copies of the poem and sent them to Rizal's friends in the country and abroad. In 1897, Mariano Ponce in Hong Kong had the poem printed with the title "Mi Ultimo Pensamiento." Fr. Mariano Dacanay, who received a copy of the poem while a prisoner in Bilibid (jail), published it in the first issue of La Independencia on September 25, 1898 with the title 'Ultimo Adios'." Rizal did not ascribe a title to his poem. 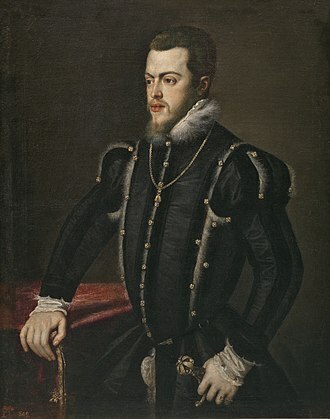 Mariano Ponce, his friend and fellow reformist, titled it Mi Último Pensamiento ("My Last Thought") in the copies he distributed, but this did not catch on. Also, the coconut oil was not delivered to the Rizal's family until after the execution as it was required to light the cell. 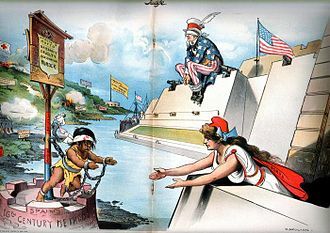 After it was annexed by the United States as a result of the Spanish–American War, the Philippines was perceived as a community of "barbarians" incapable of self-government. U.S. Representative Henry A. Cooper, lobbying for management of Philippine affairs, recited the poem before the United States Congress. Realising the nobility of the piece's author, his fellow congressmen enacted the Philippine Bill of 1902 enabling self-government (later known as the Philippine Organic Act of 1902), despite the fact that the 1882 Chinese Exclusion Act was still in effect and African Americans had yet to be granted equal rights as US citizens. 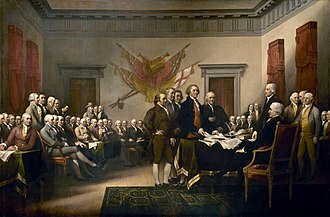 It created the Philippine Assembly, appointed two Filipino delegates to the American Congress, extended the US Bill of Rights to Filipinos, and laid the foundation for an autonomous government. 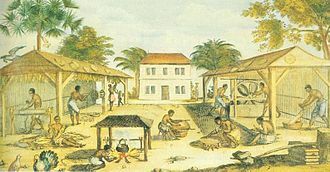 The colony was on its way to independence. 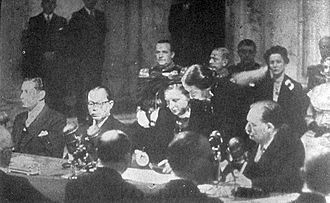 although relatively complete autonomy would not be granted until 4 July 1946 by the Treaty of Manila. The poem was translated into Bahasa Indonesia by Rosihan Anwar and was recited by Indonesian soldiers before going into battle during their struggle for independence. He read Mi último adiós over radio in Jakarta on Saturday, 30 December 1944–Rizal’s 48th death anniversary. That same day, the paper Asia Raja devoted almost half of its back page to a feature and poem on Rizal written by Anwar, accompanied by Anwar’s translation. I would still give it to you for your welfare at most. It is the same if asked by the home and country. Without frown, without wrinkles and of shame without stain. And in thy mystic land to sleep through eternity! Warmth of your breath, a whiff of thy tenderness. Let the bird intone a song of peace o'er my site. Pray too, oh, my Motherland, that in God may rest I. And pray too that you may see your own redemption. It is I, dear Country, who, a song t'you intone. Let them turn to dust to cover thy earthly space. Constantly repeating the essence of the faith I keep. Farewell to all I love; to die is to rest. "Pahimakas ni Dr. José Rizal"
sa kagaliñgan mo ay akin ding handog. matamis sa puso at di ikahapis. yaon ay gayon din kung hiling ñg Bayan. sa likod ñg luksang nagtabing na ulap. ñg kislap ñg iyong maningning na ilaw. sa dagat Silañgan hiyas na marikit. gabahid man duñgis niyong kahihiyan. pag hiñgang papanaw ñgayong biglang-bigla. bangkay ko'y masilong sa iyong Kalañgitan. sa kaluluwa ko halik ay igawad. at simoy ñg iyong pag giliw na tunay. magalaw na sinag at hañging hagibis. at dalitin niya payapang panahon. kalakip ñg aking pagdaing na hiyaw. idalañgin Báyan yaring pagka himbing. ako. Báyan, yao't, kita'y aawitin. lupa'y asarolin at kanyang ikalat. siya ang babalang doo'y makipisan. m̃ga lansañgan mo'y aking lilibutin. pag asang dalisay ñg pananalig ko. diya'y iiwan ko sa iyo ang lahat. si Bathala lamang doo'y haring lubos. sa aking tahanan di na masisilip. paalam estrañgerang kasuyo ko't aliw. Mi último adiós could be[by whom?] the most translated patriotic swan song in the world[dubious – discuss], and interpretations into 46 Philippine languages including Filipino Sign Language, and as of 2005 at least 35 English translations known and published (in print). The most popular English iteration is the 1911 translation of Charles Derbyshire and is inscribed on bronze. Also on bronze at the Rizal Park in Manila, but less known, is the 1944 one of novelist Nick Joaquin. The latest translation is in Czech by former Czech ambassador to the Republic of the Philippines, H.E. Jaroslav Ludva, and addressed at the session of the Senát. ^ Susan Brewer (2013). "Selling Empire: American Propaganda and War in the Philippines". The Asia-Pacific Journal. 11 (40). ^ Fatima Lasay (2003). 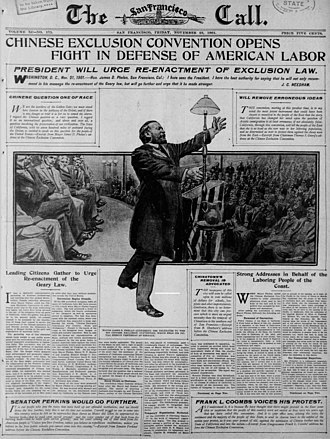 "The United States Takes Up the White Man's Burden". Cleveland Heights-University Heights City School District Library. Retrieved November 28, 2013. ^ Pacis, Vicente Albano. "Rizal in the American Congress, December 27, 1952". The Philippines Free Press. Archived from the original on May 4, 2006. Retrieved December 28, 2005. ^ "Writer's Bio: Jose Rizal". PALH Books. Archived from the original on 2011-08-28. ^ Nery, John. "Column: Aquino and "the troublemaker"". Blog. Retrieved February 16, 2011. ^ "First Ever Filipino Sign Language Interpretation". Deaf TV Channel. 2011-08-31. Archived from the original on 2013-01-21. Retrieved 2014-07-09. ^ "ФЭБ: Макаренко. Филиппинская литература [второй половины XIX в.]. — 1991 (текст)". feb-web.ru. Mauro Garcia (1961). 'Translations of Mi Ultimo Adios,' in Historical Bulletin Manila. Philippine Historical Association. Hilario, Frank A (2005). indios bravos! Jose Rizal as Messiah of the Redemption. Lumos Publishing House. Jaroslav Ludva (2006). Mi último adiós - Poslední rozloučení. Embassy of the Czech Republic in Manila. Multiple Authorship (1990). Mi Ultimo Adios in Foreign and Local Translations (2 vol). National Historical Institute. Wikimedia Commons has media related to Mi Ultimo Adiós. Hong Kong, officially the Hong Kong Special Administrative Region of the Peoples Republic of China, is an autonomous territory on the Pearl River Delta of East Asia. Macau lies across the delta to the west, and the Chinese province of Guangdong borders the territory to the north. With a total area of 1,106 square kilometres. Hong Kong was occupied by Japan during World War II until British control resumed in 1945, under the principle of one country, two systems, Hong Kong maintains a separate political and economic system from China. Except in military defence and foreign affairs, Hong Kong maintains its independent executive, legislative, in addition, Hong Kong develops relations directly with foreign states and international organisations in a broad range of appropriate fields. Hong Kong is one of the worlds most significant financial centres, with the highest Financial Development Index score and consistently ranks as the worlds most competitive and freest economic entity. 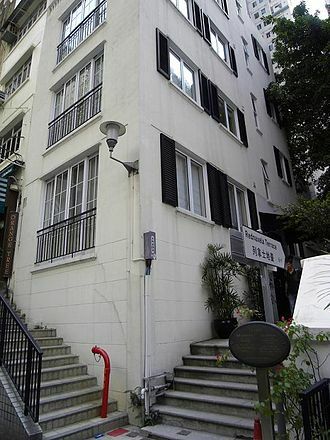 As the worlds 8th largest trading entity, its legal tender, Hong Kongs tertiary sector dominated economy is characterised by simple taxation with a competitive level of corporate tax and supported by its independent judiciary system. However, while Hong Kong has one of the highest per capita incomes in the world and it has a very high Human Development Index ranking and the worlds longest life expectancy. Over 90% of the population use of well-developed public transportation. Seasonal air pollution with origins from neighbouring areas of Mainland China. Hong Kong was officially recorded in the 1842 Treaty of Nanking to encompass the entirety of the island, before 1842, the name referred to a small inlet—now Aberdeen Harbour, literally means Little Hong Kong)—between Aberdeen Island and the southern coast of Hong Kong Island. Aberdeen was a point of contact between British sailors and local fishermen. Detailed and accurate romanisation systems for Cantonese were available and in use at the time, fragrance may refer to the sweet taste of the harbours fresh water estuarine influx of the Pearl River or to the incense from factories lining the coast of northern Kowloon. 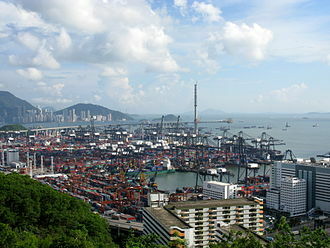 The incense was stored near Aberdeen Harbour for export before Hong Kong developed Victoria Harbour, the name had often been written as the single word Hongkong until the government adopted the current form in 1926. Rizal Park, known as Luneta National Park or simply Luneta, is a historical urban park in the Philippines. Located along Roxas Boulevard, adjacent to the old walled city of Intramuros and it has been a favorite leisure spot, and is frequented on Sundays and national holidays. Rizal Park is one of the major tourist attractions of Manila, situated by the Manila Bay, it is an important site in Philippine history. The execution of national hero José Rizal on December 30,1896 fanned the flames of the 1896 Philippine Revolution against the Kingdom of Spain, the area was officially renamed Rizal Park in his honor, and the monument enshrining his remains serves as the parks symbolic focal point. Luneta is situated at the terminus of Roxas Boulevard. To the east of the boulevard, the park is bounded by Taft Avenue, Padre Burgos Avenue, to the west is the reclaimed area of the park bounded by Katigbak Drive, South Drive, and the shore of Manila Bay. Rizal Parks history began in 1820 when the Paseo de Luneta was completed just south of the walls of Manila on a patch of land next to the beach during the Spanish rule. Prior to the park, the land was the location of a small town called Nuevo Barrio that dates back to 1601. The town and its churches, being close to the city, were strategically used as cover by the British during their attack. Because of the part they played during the British Invasion, they were cleared after the rule of the British from 1762 to 1764. The church of Bagumbayan originally enshrined the Black Nazarene, because of the order to destroy the village and its church, the image was transferred first to San Nicolas de Tolentino to Quiapo Church. This has since been commemorated by the Traslación of the relic every January 9 and this is why the procession always start at Rizal Park. West of Bagumbayan Field was the Paseo de la Luneta named after the fortification and it was named Paseo de Alfonso XII, after Alfonso XII, King of Spain during his reign from 1874 to 1885. Paseo de la Luneta was the center of activity for the people of Manila in the early evening hours. This plaza was arranged with paths and lawns and surrounded by a wide driveway called La Calzada where carriages circulate, during the Spanish period from 1823 to 1897 most especially in the latter part, the place became notorious for public executions. Rosihan Anwar was a renowned Indonesian journalist and author. Rosihan Anwar was born in Kubang Nan Dua, West Sumatra, rosihan received his early education at HIS and MULO in Padang. He continued his studies at Algemeene Middelbare School in Yogyakarta and often participated journalism workshops at Columbia University and his career began as reporter in Asia Raja newspaper during the Japanese Invasion of Indonesia. In 1947, he founded Siasat magazine, rosihan was an actor and starred in several movies such as Lagi-lagi Krisis and Tjoet Nja’ Dien. Rosihan Anwar was not interested in power, but more of conscience and he wrote criticism in local and foreign media. He was one of the founders of the National Film Company and he was well known as a writer, and published 30 books and wrote hundreds of articles, mostly in Indonesian. The last book he wrote, Petite Histoire Indonesia, is about Indonesian history and he translated Jose Rizals poem My Last Farewell into Indonesian, and it was recited by the soldiers of Indonesian independence before going to battle. 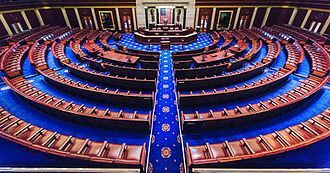 Lobbying is the act of attempting to influence the actions, policies, or decisions of officials in their daily life, most often legislators or members of regulatory agencies. Lobbying is done by many types of people and organized groups, including individuals in the sector, fellow legislators or government officials. Lobbyists may be among a legislators constituencies, meaning a voter or bloc of voters within their district, or not, they may engage in lobbying as a business. Professional lobbyists are people whose business is trying to influence legislation, regulation, or other government decisions, actions and nonprofit organizations can lobby as an act of volunteering or as a small part of their normal job. Governments often define and regulate organized group lobbying that has become influential, the ethics and morality of lobbying are dual-edged. Lobbying is often spoken of with contempt, when the implication is that people with inordinate socioeconomic power are corrupting the law in order to serve their own interests. The failure of government officials to serve the public interest as a consequence of lobbying by special interests who provide benefits to the official is an example of agent misdirection. One story held that the term originated at the Willard Hotel in Washington, DC, a lobbyist is a person who tries to influence legislation on behalf of a special interest or a member of a lobby. Governments often define and regulate organized group lobbying as part of laws to prevent political corruption, Lobby groups may concentrate their efforts on the legislatures, where laws are created, but may use the judicial branch to advance their causes. 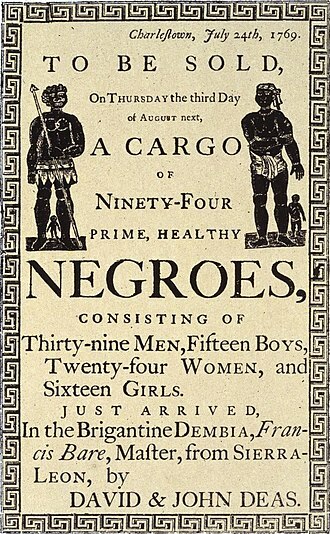 The National Association for the Advancement of Colored People, for example, filed suits in state and their efforts resulted in the Supreme Court declaring such laws unconstitutional. They may use a device known as amicus curiae, literally friend of the court. Briefs are written documents filed with a court, typically by parties to a lawsuit, amici curiae briefs are briefs filed by people or groups who are not parties to a suit. Indonesia, officially the Republic of Indonesia, is a unitary sovereign state and transcontinental country located mainly in Southeast Asia with some territories in Oceania. Situated between the Indian and Pacific oceans, it is the worlds largest island country, with more than seventeen thousand islands. At 1,904,569 square kilometres, Indonesia is the worlds 14th-largest country in terms of area and worlds 7th-largest country in terms of combined sea. It has an population of over 260 million people and is the worlds fourth most populous country. The worlds most populous island, contains more than half of the countrys population, Indonesias republican form of government includes an elected legislature and president. 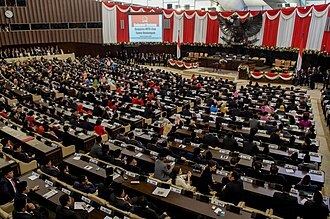 Indonesia has 34 provinces, of which five have Special Administrative status and its capital and countrys most populous city is Jakarta, which is the most populous city in Southeast Asia and the second in Asia. The country shares land borders with Papua New Guinea, East Timor, other neighbouring countries include Singapore, the Philippines, Australia and the Indian territory of the Andaman and Nicobar Islands. 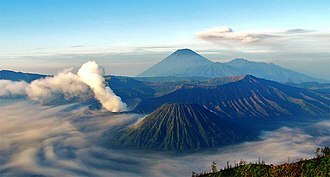 Despite its large population and densely populated regions, Indonesia has vast areas of wilderness that support the second highest level of biodiversity. The country has abundant natural resources like oil and natural gas, copper, agriculture mainly produces rice, palm oil, coffee, medicinal plants and rubber. 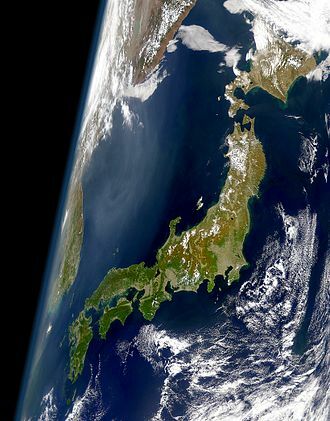 Indonesias major trading partners are Japan, United States, the Indonesian archipelago has been an important region for trade since at least the 7th century, when Srivijaya and later Majapahit traded with China and India. Local rulers gradually absorbed foreign cultural and political models from the early centuries CE, Indonesian history has been influenced by foreign powers drawn to its natural resources. Indonesia consists of hundreds of native ethnic and linguistic groups. 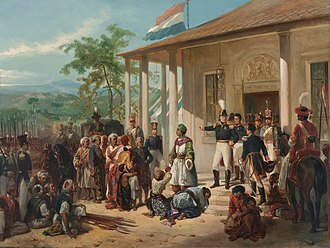 The largest – and politically dominant – ethnic group are the Javanese, a shared identity has developed, defined by a national language, ethnic diversity, religious pluralism within a Muslim-majority population, and a history of colonialism and rebellion against it. The swan song is a metaphorical phrase for a final gesture, effort, or performance given just before death or retirement. The phrase refers to an ancient belief that swans sing a song in the moment just before death. This belief, whose basis in actuality is long-debated, had become proverbial in ancient Greece by the 3rd century BC, and was reiterated many times in Western poetry and art. Aesops fable of The Swan and the Goose incorporates the swan song legend as saving its life when it was caught by mistake instead of the goose but was recognized by its song, there is a subsequent reference in Aeschylus Agamemnon from 458 BC. In that play, Clytemnestra compares the dead Cassandra to a swan who has sung her last final lament, platos Phaedo records Socrates saying that, although swans sing in early life, they do not do so as beautifully as before they die. Furthermore, Aristotle noted in his History of Animals that swans are musical, by the third century BC the belief had become a proverb. The swan was described as a singer in the works of the poets Virgil. The most familiar European swan, the swan, although not actually mute, is known neither for musicality nor to vocalize as it dies. Peterson et al. note that Cygnus olor is not mute but lacks bugling call, merely honking and this was proposed by naturalist Peter Pallas as the basis for the legend. Both mute and whooper swans appear to be represented in ancient Greek, the whooper swans nearest relatives, the trumpeter and tundra swans, share its musical tracheal loop. Chaucer wrote of The Ialous swan, ayens his deth that singeth, leonardo da Vinci noted The swan is white without spot, and it sings sweetly as it dies, that song ending its life. In Shakespeares The Merchant of Venice, Portia exclaims Let music sound while he doth make his choice, Then, if he lose, he makes a swan-like end, Fading in music. The concerto of Telemann begins with a sad part a part, the singing of the swan itself, another sad part. According to the Oxford English Dictionary, the English phrase swan song or swan-song borrows from the German schwanensang or schwanenlied, the Scottish cleric John Willison, in one of his Scripture Sermons,1747, proposes a verse from Psalm 48 as a swan-song for the faithful. Autograph refers to a famous persons artistic signature. This term is used in particular for the practice of collecting autographs of celebrities, the hobby of collecting autographs is known as philography. What might be considered the oldest autograph is a Sumerian clay table from about 3100 BC which includes the name of the scribe Gar. Ama. No ancient written autographs have been found, and the earliest one known for a historical figure is that of El Cid from 1098. Some of the most popular categories of subjects are presidents, military soldiers, movie stars, artists and religious leaders, astronauts. Some collectors may specialize in fields or general topics or specific documents. Sports memorabilia signed by a team can often be sold for hundreds or thousands of dollars. Some celebrities still enjoy signing autographs for free for fans, keeping it an interesting hobby and this is one of the main reasons why some celebrities will only distribute their signatures for a price. Joe DiMaggio was able to more money on signing fees than he made in his playing career. Bill Russell does not sign at all in public, and only sparingly at private sessions, michael Jordan reportedly did not sign for most of his career because of safety concerns about frenzied attempts to get his signature, which is worth hundreds of dollars. Jordan has frequently signed at more events, such as golf tournaments. Pete Rose was paid to sign 30 baseballs with the inscription Im sorry I bet on baseball, michael Jacksons experience was typical, he often signed just a handful of autographs as he rushed from his hotel to his vehicle. Some collectors take note of which celebrities are the most gracious or the least forthcoming, some dealers would locate a celebritys home address and write to them repeatedly asking for autographs. The celebrities soon grew tired of the practice and limited their responses, because of the many autographs a celebrity might sign over time, some check requests against a record of past requests. Boxer George Foreman, for instance, records the names and addresses of every person requesting an autograph to limit such abuses, canadian sculptor Christian Cardell Corbet has his assistant research all requested autographs and records all sent out. This presence in the popular consciousness is evidenced by its historical frequency in folk songs, folk tales and other folklore, and its modern trope status in literature and films. Although some folk heroes are historical figures, many are not. The lives of heroes are generally fictional, their characteristics. One major category of folk hero is the defender of the people against the oppression or corruption of the established power structure. Members of this category of folk hero often, but not necessarily, robbed dozens of banks, escaped from jail multiple times. Before being boiled in oil, he saved his infant son at the cost of his own life, jack Mary Ann – a folk hero from the Wrexham area of north Wales whose fictionalised exploits continue to circulate in local folklore. James Morrow Walsh - Canada, a mountie who turned Sitting Bull, burned as a heretic she became a martyr, folk hero, and eventually a saint. She is now one of the saints of France. Miyamoto Musashi – Japan, a swordsman, soldier and author Miloš Obilić – Serbia. 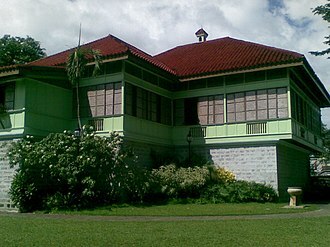 The Philippine Assembly was the lower house of the Philippines from 1907 to 1916. Along with a house, it formed the bicameral Philippine Legislature during part of the American Colonial Period. The Assembly was created by the 1902 Philippine Organic Act of the United States Congress, in 1916, the Jones Act replaced the Philippine Organic Act and the Assembly became the current House of Representatives of the Philippines. The first Philippine Assembly elections were held on July 30,1907 and these were the first nationwide elections ever held in the Philippines. The Assembly was inaugurated on October 16,1907 with Sergio Osmeña as Speaker of the Assembly, Manuel L. Quezon as majority leader, the Philippine Assembly was the first legislative body in the Philippines fully chosen by national elections. It is a precursor of the current House of Representatives of the Philippines. 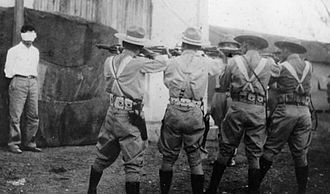 The United States of America gained control of the Philippines following the 1898 Spanish–American War, President Theodore Roosevelt hesitated to grant the Philippines greater authority and viewed the Assembly as more of an experiment rather than a true step toward Philippine autonomy. 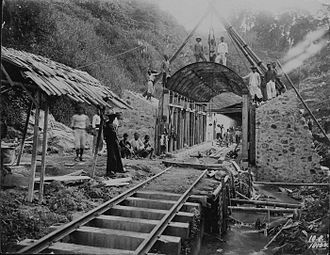 In accordance with the Philippine Organic Act, the Philippine Commission conducted a census in 1903, two years after the census publication, on July 30,1907, the first Assembly elections were held, the first nationwide elections in the Phiilippines. Although several parties and independent candidates ran for the Assembly, two parties dominated, the Nacionalista Party and the Progresista Party. The Nacionalista Party, which was in favor of immediate and complete independence from the United States and was led by future President Sergio Osmeña, on October 16,1907, the Philippine Assembly was inaugurated at the Manila Grand Opera House. The event was attended both by Taft, and the new Governor-General James Francis Smith, the Assemblys rules and organization was modeled on those of the United States House of Representatives. Quezon and Osmeña focused on aggregating the delegates around Osmeñas leadership, with less than two dozen delegates, the Progresistas wont be able to elect a Speaker from their ranks and were marginalized from the talks amongst the Nacionalistas. View of Manila (Intramuros) from Luneta also known as "Bagumbayan" at that time 1818. 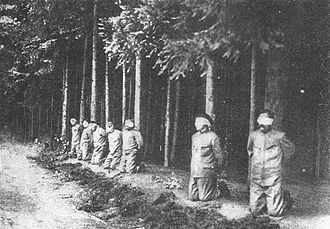 Execution by Austria-Hungary of the Czech leaders of a mutiny against their superior officers, 1918. 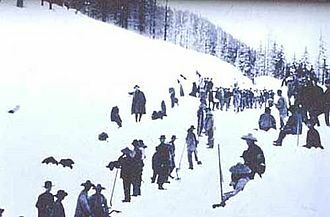 Serbian prisoners of war arranged in a semi-circle, executed by an Austrian firing squad in World War I. An accused anti-Batista insurgent is blindfolded and executed by firing squad, Cuba 1956. 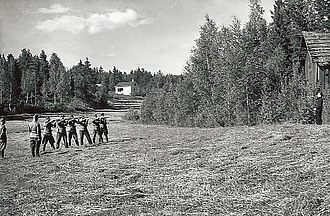 Execution of a Soviet infiltrator by a Finnish firing squad during the Continuation War, 1941–1944. The Mariano Ponce House and Commemorative Marker at Baliuag, Bulacan. Bendera Pusaka, the first Indonesian flag, is raised on 17 August 1945. Indian and British troops move cautiously along a jungle track round the town of Gresik. Replica of the Padrão of Sunda Kalapa (1522), a stone pillar with a cross of the Order of Christ commemorating a treaty between the Portuguese Empire and the Sunda Kingdom, at Jakarta History Museum. Giuseppe Garibaldi, one of Italy's "fathers of the fatherland"
An engraving of Bonifacio from 1897. He was one of the founders and later Supremo (Supreme Leader) of the Kataas-taasan, Kagalanggalangang Katipunan ng mga Anak ng Bayan or more commonly known as "Katipunan", a movement which sought the independence of the Philippines from Spanish colonial rule and started the Philippine Revolution. He is considered a national hero of the Philippines. The Bonifacio shrine at the foot of Mount Nagpatong and Mount Buntis in Maragondon, Cavite where he was believed to be executed, on May 10, 1897. 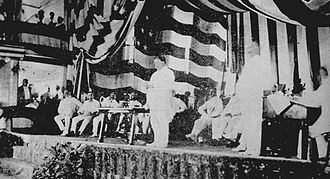 William Howard Taft addressing the First Philippine Assembly in the Manila Grand Opera House. Plaque where the Manila Grand Opera House used to stand, site of the inauguration of the assembly. Hans Holbein the Younger: The Ambassadors, 1533. The life-sized panel portrays Jean de Dinteville and Georges de Selve, the ambassadors of Francis I of France. "The singing swan" (1655) by Reinier van Persijn.